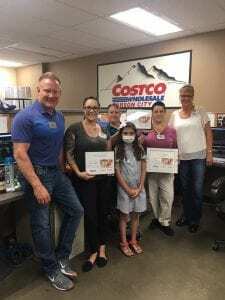 Costco pledged to raise up to $600,000 in 2 years to upgrade Neonatal monitors for Renown Children’s Hospital’s Neonatal ICU. They already exceeded their goal of $317,000 the first year. Let’s give it up to Costco for a great year and continue to see progress made on their journey to strive to meet their goal!